← What is the return on investment for open government? On December 29th, 2014, the New York Post reported that arrests by the New York Police Department had plummeted in New York City after a virtual work stoppage following the execution of two officers on December 20th. 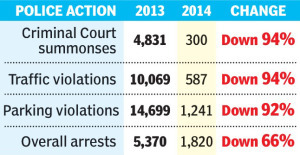 According to the data obtained by the Post, traffic tickets and summonses for minor offenses plummeted by more than 94% in the final weeks of the year. The national standard for response times to 911 calls is six minutes. As the Los Angeles Times reported in its series on 911 response times in the City of Angels, rescuers routinely fail that bar. The data visualization below shows how response times vary geographically in the greater Los Angeles area. This is only one week of data. It could be an aberration. When the average response times for the final week of 2014 are published, the public will be able to see whether this was an exception or part of the larger slowdown. If the latter is the case, public safety is being placed at greater risk and the DeBlasio administration and NYC Police Commissioner should react accordingly. 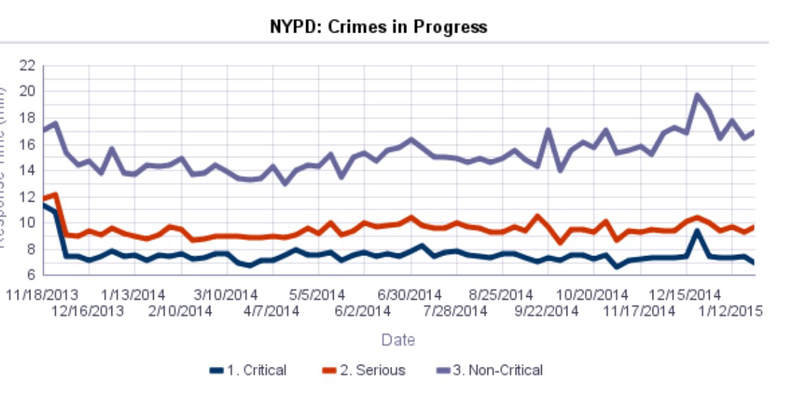 Update: On February 9, NYC Analytics updated the data. 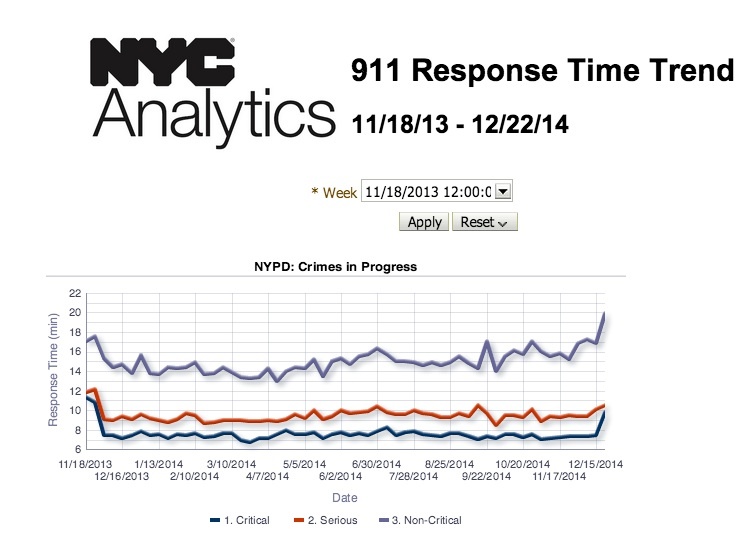 It was immensely gratifying to see that the 911 response times have improved after the spike, returning to their previous levels.